This is the second in a series of three blog postings that talks about training your internal Lean Experts or Champions. See first post Training Lean Champions. Typically it takes years (or even decades) of experience to comprehend the full concepts of Lean. Most people have not dedicated themselves to this level of understanding. So in order to build your internal expertise faster it is common to start training your Champions with specific aspects or tools of Lean. So what does this mean? You should probably start by training some Champions in 5S, Layout, Standard Work or Quick Changeover or other lower level building blocks of Lean. Once they master certain elements they can decide to learn more or stay with what they know (once again, it takes years to become an expert). Once you have developed experts in these areas consider moving to higher level building blocks such as Cellular-flow, Pull systems and Kanban, Total Productive Maintenance and so on. As you can see from this model, Champions become subject matter experts in specific Lean tools. For instance, you may have several 5S, Visual and Point-of-use-storage Champions, a few Quick Changeover Champions, one or two Value Stream Mapping Champions and so on. If you are a small organization, this may seem daunting. But, in reality, if you are few in numbers, it may be easier to make the changes required and therefore one person can become an expert in several different building blocks of Lean. If you come from a large organization or even multiple facilities, you can draw on experts from these other departments or locations. Remember, your 5S Champion is an expert in 5S. So no matter where the 5S event is going to be (shop floor, office, warehouse, etc.) they will know how to facilitate it. Kaizen Events are just one way to deploy the tools. Training people in how to perform a Kaizen Event actually starts with them knowing about specific building blocks of Lean. The best way to train your Champions is to give them a combination of classroom (theory) and real-world (practical) experience. One way to give them the theory portion is during the event itself by performing your Kaizen Events in a “train-do” or “learn-do” mode. Train-do means that the participants learn a little about the subject and then they go do it, they learn a little more and apply it and so on. Also, to gain knowledge they can read Lean books, articles, watch Lean videos, attend conferences, webinars or seminars and benchmark other companies. We build this into the Champions’ Skills Matrix (see Champions’ Skills Matrix). In the Learning Plan we state the things that a good Champion needs to know and then we assess our current candidates. If they do not have all the skills stated (which they rarely have all the skills) there is a gap; our job is to close that gap. Besides learning specific tools of Lean they must also have other important skills in order to run a successful Kaizen Event such as facilitation, computer, and communication competence. Also, important is that your organization has good Lean training materials such as PowerPoint slides, DVDs, forms, workbooks, spreadsheets and so on to help facilitate the Kaizen Event. run a Kaizen Event on their own with support from the experienced Lean Champion or master. The reasoning behind this is many-fold. First, each session is performed in a train-do mode so their level of understanding of the specific tools of Lean increases with each event. In the first event, they are just being exposed to the specific tools of Lean, many for the first time. In the second event they are beginning to see how to run an event. In the third event they start to focus on the training portion of the Kaizen and what to expect during a Kaizen Event. Equally important is that they get a chance to see all the crazy and unexpected things that can happen during an event and see how the facilitator handles it. This teaches your Champions on how to be flexible during the event. During the train-the-trainer session they learn the ins and outs of what makes a good trainer and a chance to review any materials that need clarification. Also, during that session we go over any class exercises and timing of milestones (see Timing and Milestones). Major timing or milestones may be things like “we need to complete the review of the video tape by the end of the day”, “brainstorming and project selection needs to be completed by 2:00 pm so we can start the implementation” and so on. Before the fourth event they get a chance to prepare and rehearse their training and facilitation skills. During the fourth event, the new Champion runs the event. The Lean master observes and stays in the background unless something goes wrong. At quiet points during the day, coachinig moments and at the end of each day, the master gives feedback to the Champion about how the day went. I have found it best for the master to write up a little synopsis (like an A3 form) of the entire Kaizen Event for the Champion for them to refer to before facilitating their next event or in the future if they need to. Another variation of this method is to allow teams of Champions to work together. For instance, one Champion acts as the lead and the other is a helper. This helps reduce the stress of running your first event on your own. With more experience, the Champion can facilitate events by themselves or even run multiple teams based on the participants’ level of experience with Lean. In my experience, I have found that it takes about three events before a Champion feels comfortable enough to be ready to perform a Kaizen Event on their own. The events are in different target areas with different participants or teams. Typically, I like to have about 7-10 participants and up to about five additional Champions to train. Having a Kaizen team of about 7-10 people gives us enough ‘horse power’ to get things done. Having more then ten people can make it more like ‘herding cats’. Having less than seven people reduces the hands and brains to make improvements. The reason that having additional people participate as Champion candidates is that they are usually motivated and can lend a hand to the facilitator during the events. If your Champions have some previous knowledge of that specific tool of Lean then you can cut down the number of train-do events for them. As mentioned before they can gain knowledge by other means such as videos, reading books and articles and so on. 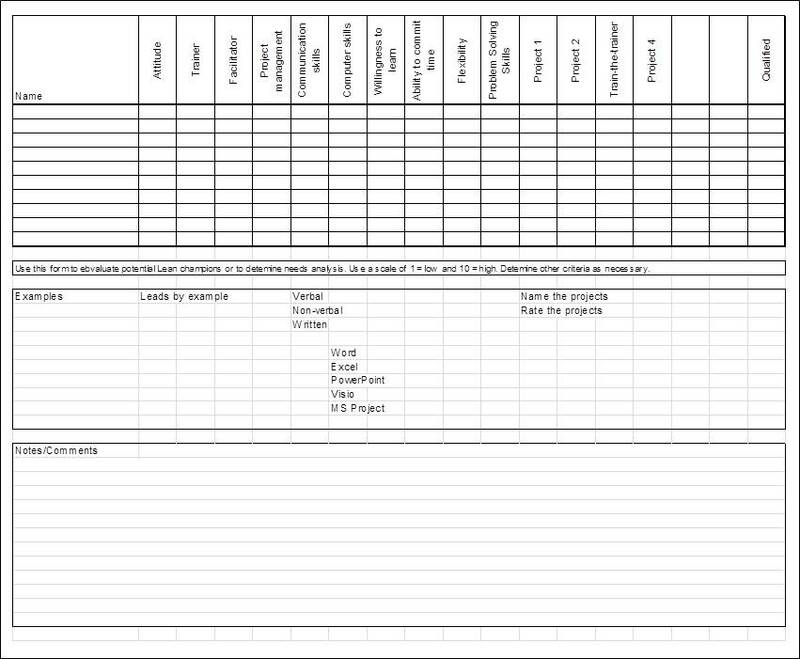 Also, based on the type of Kaizen Event I may adjust the number of projects for them to participate in before they are on their own (see Champion Training Project Matrix). At this point most companies’ freak-out at how much time this is going to take; it’s a lot like sticker shock on a new car. All I have to say is, yes this is basically what’s its going to take. Do you really think that by attending a one day seminar or even a five day Lean certification course that you are automatically an expert in Lean? Get real. It takes time and experience to gain the skills, knowledge, skills, expertise and flexibility to become a Lean Master. The next blog post in this series will covers aspects of the Kaizen Event itself. P.S. If you need help with your Lean training give us a call at 888 4 LEAN 5S or email us at trainer@5Ssupply.com, we would be glad to help.